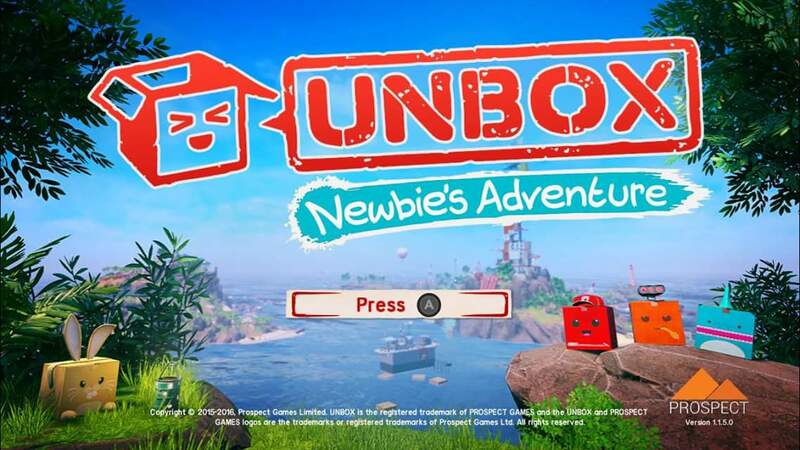 Unbox: Newbie's Adventure is an ambitious project. It is a late nineties style 3D platform collectathon, but also has a varied local multiplayer mode for up to 4 players. Oddly enough, you can actually start a multiplayer map with only one person participating. Anyways, does it live up to it's ambition of creating an in-depth throwback to the golden era of collectathons? Well, it really depends on how you're gauging that. 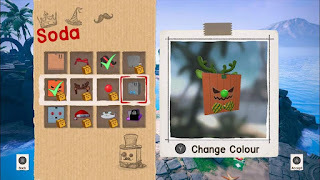 If you just want tons of collectibles and weird ways to customize your onscreen box avatar? Yes. If you are judging it by pure fun...it is lacking. 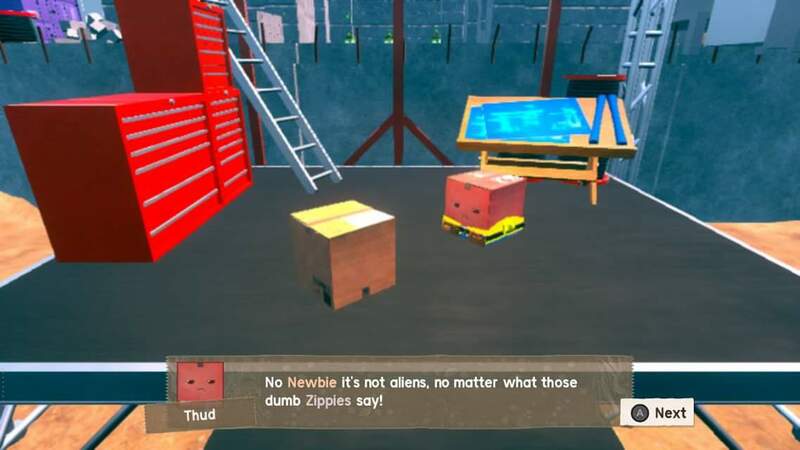 While the game is obviously geared towards children with it's easily accomplished tasks and boss- fights, it also takes every opportunity to provide you with way too many explanations of everything. That includes repeating the same tutorials at you from time to time, with no ability to easily skip them. 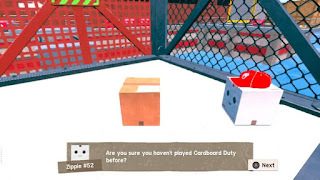 The idea of the game is fun- you are a self- delivering box that is supposed to navigate your way to your destination as an attempt at saving a struggling packaging service known as GPS. You roll around the world going from what seems like one tutorial to the next learning how to utilize your skills go accomplish your goals. Chief among these skills is to unbox yourself- which depletes your health as you do it, and is really used most often to stop yourself from falling in the water after you've over estimated a jump, or merely forgot to hit the jump button early enough. Unfortunately, this happens often, mainly because the physics engine makes you gain momentum as you land, too. 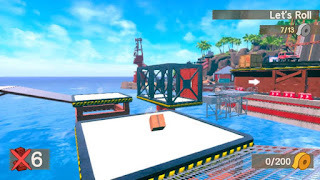 So, you'll have to ramp up your speed to clear a gap and land on the next platform, but you'll also keep rolling forward immediately upon landing, but usually on a platform much too small to land without immediately rolling off. 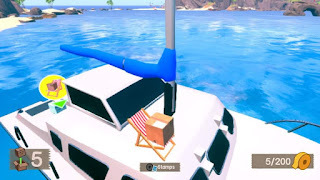 Sometimes, the devs seem well aware of this problem and place obstacles on the edge to help stop you from rolling off. Other times? You either fall to a lower level, or sometimes end up in the water. The game has a lot of charm, mainly found with little weird things like the ability to lounge in a chair, and frequent references to pop culture, some involving other games. The game also has a charming art style, but environments feel kind of empty, and the in game textures are super soft. This leads to a lot of blurriness, which reminds me of a wii game. I also noticed that there were often times when going from one screen to the next, I would have a line of pixels on the right hand side, and bottom of the screen go funky while the rest of the screen was black. 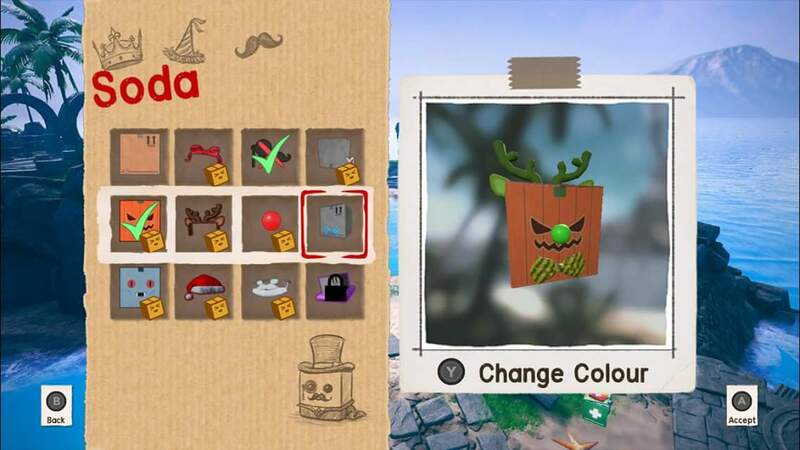 The game also suffers from a significant amount of slowdown when you're traversing the hub world with too much momentum built up, and it seems to be made worse by customizing your box. 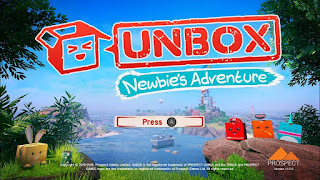 I actually want to try playing the local multiplayer with my girls to see how well that plays out, because if that's fun enough, it could be worth the purchase on its own. I'll update this section after I get the opportunity. There are lots of ways to customize your character, and i spent a good thirty minutes on it myself, and that's without having everything unlocked. Again, the game could be better with some patching that adds in the ability to skip tutorials (or shut them off). It's not a bad game, but it is simple, and there are a lot of things that will just grind on you.